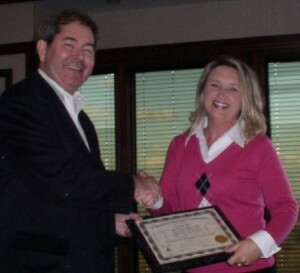 The IT Business Manager Certification (ITBMC) was developed in a joint venture between Belmont University and MDE Enterprises, Inc. The purpose of the certification is to place an emphasis on the importance of an IT organization in delivering business value and becoming a business partner within the company. Recipients of the ITBMC are recognized as having the knowledge and tools to focus on managing IT to support the business needs and issues of their client and capable of delivering tangible and quantifiable business value for their companies. Belmont University validated the educational value of the program. Mike Sisco, CEO of MDE Enterprises, Inc. and a former CIO of more than 20 years, provided the guidance and oversight to insure sound operational management processes and tools were used that actually help an IT manager succeed in the real world. The program foundation is structured around a practical IT Management Process™ developed by Sisco. This highly functional operational process works for all levels of IT management. 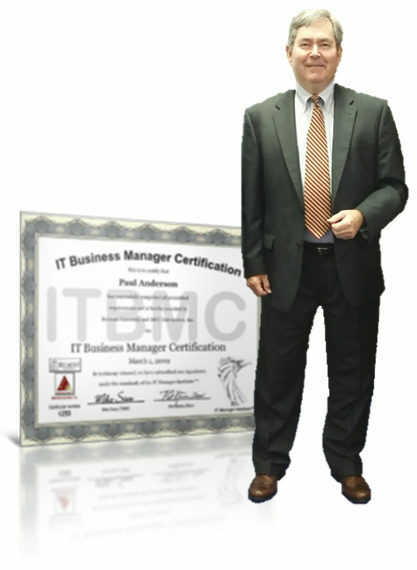 Since announcing the ITBMC certification in 2005, hundreds of IT managers in virtually all parts of the world have achieved their ITBMC status by attending the IT Manager Institute class or completing the Self Study and passing a multi-part ITBMC exam. The IT Manager Institute program has a 100% positive satisfaction record for one simple reason, , , the processes and tools you receive in the program work.